U.S. 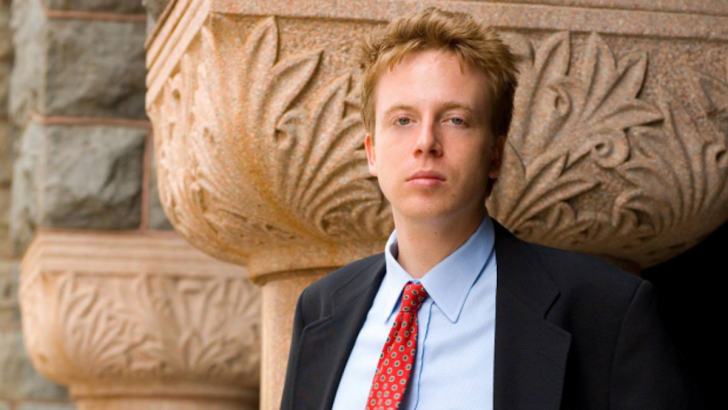 Prosecutors decided not to pursue crucial criminal charges against journalist and activist Barrett Brown, and dismiss a majority of charges related to sharing a link to a dump of credit card numbers connected to the breach of intelligence firm Stratfor. Supporters say Brown just copied the hyperlink from an the Internet chat room and then reposted the link on his own internet chat room, Project PM, that linked to stolen documents from the US government contractor, Stratfor Global Intelligence, included 860,000 e-mail addresses for Stratfor subscribers and 60,000 credit card details. Just hours after Brown's lawyers filed their comprehensive argument, the DOJ has filed a motion to dismiss all 11 charges, on Thursday. Apart from computer fraud charges, Brown is also facing prosecution for allegedly threatening an FBI agent and for alleged obstruction of justice. Brown is a well known figure in hacking and internet freedom circles, having had his writings published in outlets such as Vanity Fair and the Guardian. In September 2012, he was arrested by Law enforcement officers in a dramatic raid of his apartment, while he was having a live online video chat session with a few others. Until his arrest, he ran a collaborative web publication very well known as Project PM that engaged in issues relating to official leaks and the work of the hacking collective Anonymous. Brown, currently being held in Texas, has spent more than a year behind bars and still faces up to 70 years in prison. Brown has two trials scheduled for April 28 and May 19, respectively, where he will be seen answering 17 charges related to his work on uncovering online surveillance. Now, this is not the first time when the US government has forced strict laws against the hacktivists, last year, a 26-year-old, Reddit cofounder and the digital Activist, Aaron H. Swartz committed suicide, who was accused of hacking the MIT JSTOR database and charged $4 million in fines and up to 50 years in prison by the Court.